My first Great Plains chase day. We started the morning in Omaha, Nebraska and eventually traveled through Des Moines up into Minnesota. 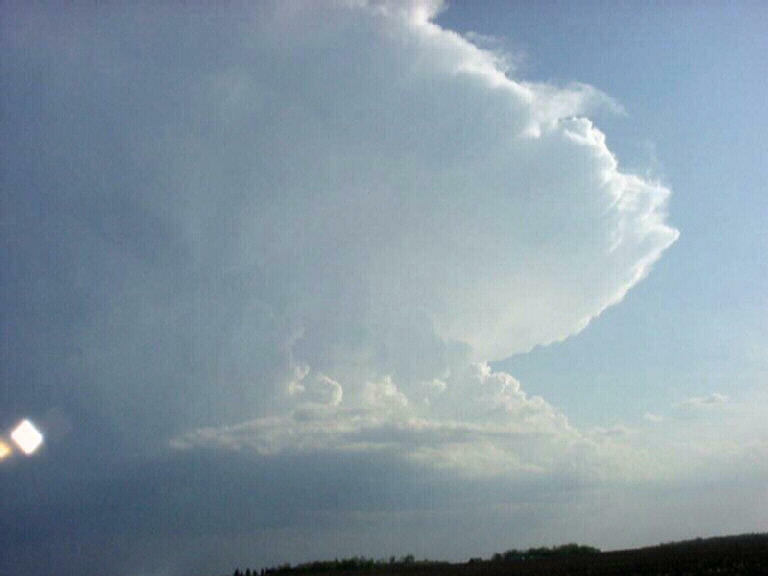 Near New Ulm, we intercepted two supercells, choosing the southern one to chase because it had far superior structure. We chased this storm east through Mankato and eventually stopped near Owatonna to watch the lightning on the rear flank of another supercell. Unfortunately, the northern supercell went on to produce tornadoes near Minneapolis while our storm did not. It did have one of the nicest anvil structures I've seen to this day. 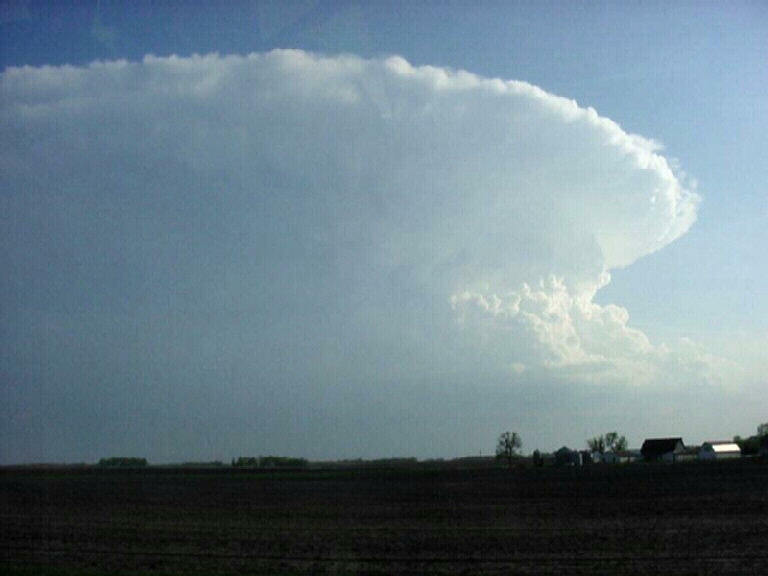 Awesome anvil south of New Ulm. 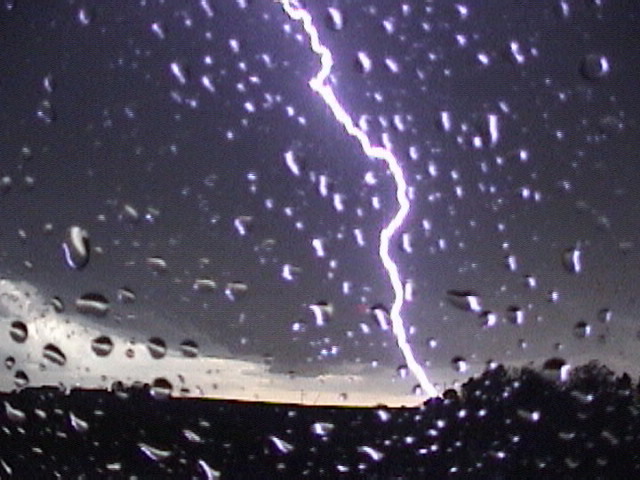 A CG bolt hits close to the van near Ellendale, MN. 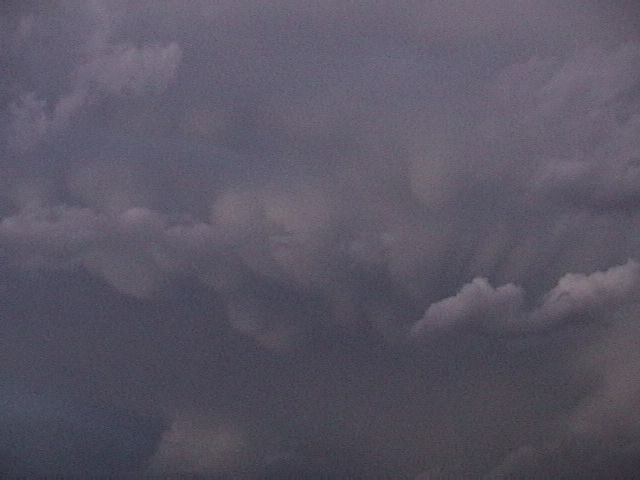 Mammatus clouds on the rear flank of a supercell near Owatonna, MN.